- Coffee is everywhere. It’s not unusual for small suburbs to boast ten or more cafes serving a standard coffee menu, and even then, other businesses in the neighbourhood are likely to put coffee on their menu so that they don’t miss out. This isn’t great for baristas or established cafes, but the competition does ensure that only the strong survive, which solidifies Australia’s reputation for producing great caffeinated beverages. - Most Australian cafes start every cup of coffee with freshly-ground, quality beans. That might sound like standard practice, but cafes around the world don’t necessarily hold themselves to the same standard, and Aussie tastebuds can tell - according to Traveller: “Australia has become a land of coffee obsessives, a country free of a caffeinated cultural cringe, a nation of people unafraid to declare that our coffee is better than yours.” Grinding just enough beans for each order takes extra time and attention, but any coffee connoisseur worth their weight in beans will tell you the taste makes up for the wait. - Our baristas know their stuff. 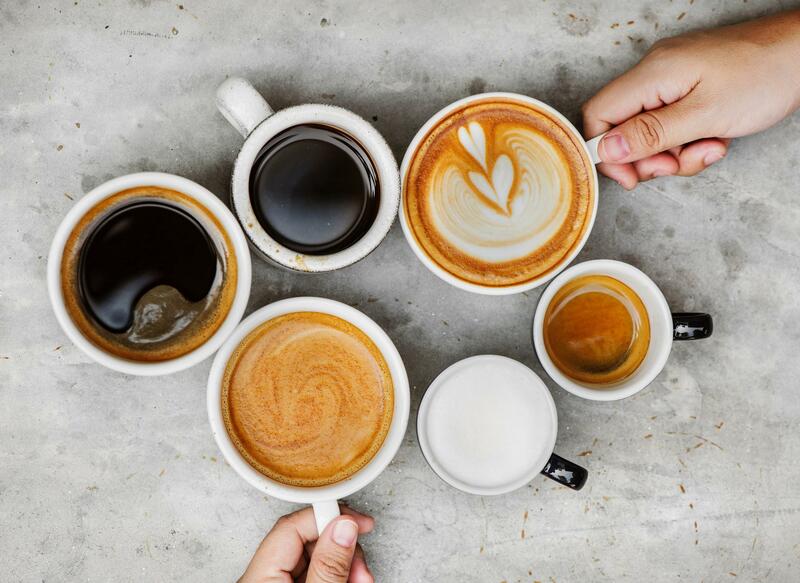 Not only do most Australian baristas go through a day-long training course just to grasp the basics and a bit of latte art, but the ones working in busy cafes can also be expected to work through kilograms of beans every morning. Generally speaking, every order is made from scratch - a far cry from the drip coffee found in America - and some cafes even promise a delivery time of one minute or less, so there’s no messing around. - Said baristas are also well accustomed to fussy coffee orders. We’ve all heard stories of the menu-defying requests baristas are faced with every day at work; half-strength, decaf, caramel lattes on almond milk with a shot of angel dust are all in a day’s work. What’s more, the barista usually has to offer to make the coffee again if it isn’t *quite right*, or else the cafe two streets away will be happy to take on their dissatisfied clientele. Aussies like their coffee made a certain way, and once they find a barista who can nail their order (and remember their name), it could be the beginning of a beautiful, addiction-fueled friendship. - Latte art is a staple, and for good reason. According to Paulig Barista Institute, the barista’s ability to create latte art depends on a perfectly-frothed jug of milk, and if it isn’t perfectly frothed, not only is latte art impossible, but the taste probably misses the mark. Australia takes latte art very seriously - we post it on Instagram, take classes exclusively to perfect the craft, and even hold latte art competitions to celebrate the best in the country. If that doesn’t encapsulate the spirit of true devotion to our coffee culture, nothing will. - Coffee is a staple meeting option for almost every situation, hence the popularity of The Coffee Club and their slogan, “Where Will I Meet You?” Aussies have no qualms about suggesting coffee as the focal point of a business meeting, a catch up with friends, or a first date with someone they found on an app, and chances are that if the coffee is sub-par, it will most likely offer the participants a talking point, should there be a lull in the conversation.